Ukulele review time again! I have had a few people say to me recently that I am hard on musical instruments at the cheap end of the scale. That really isn't the case, and anyone who reads this blog knows I regularly recommend cheap ukes like the Makala Dolphin. Then the Octopus Soprano came my way - do we have a Dolphin killer? The Octopus retails at under £20, and puts it slap bang in the minefield territory of ukes - where your chances of getting total junk are high. But it was explained to me that this is a re-issue of an earlier Octopus, and that the brand went back to make several improvements to the instrument whilst retaining a very low price. It's an all laminate uke, and thick laminate at that, which is not unexpected at this price. But the body is put together remarkably well. It is finished in a satin stain, and the one with me for test is in a rather unattractive brown colour. Thankfully, a look at the full range shows a range of bright colours, some with glittery sparkles so there is bound to be something you will like. But the satin finish feels very nice, and I can't find any flaws at all. The bridge looks like rosewood and is a tie bar design, screwed to the top of the uke. The saddle is white plastic. Up to the sound hole and we have a simple rosette design applied as a transfer. And overall it feels solid. The back is flat, and is otherwise a traditional ukulele shape. Looking into the sound hole and it all looks very neat and tidy. I also notice that it is unbraced - something presumably considered unnecessary on account of the thick laminate build. Will this affect the tone and volume? Moving on to the neck, and we have a three piece wooden neck, with joints at the heel and headstock. Nothing unusual. I really don't like how much wood there is at the heel which is incredibly chunky. New players may not be troubled with playing that high up the fingerboard, but I noticed it. Thankfully the profile and finish at the lower frets is very nice and makes for comfortable play. When I moved on to the fingerboard however I was quite blown away. The 12 nickel silver frets are finished flawlessly and better than I have seen on ukes costing hundreds of pounds. And the rosewood fingerboard itself is wonderful. On inspection, they have sanded / rolled the fingerboards meaning there are no sharp edges on the wood. That is remarkable and something you will not find unless you spend considerably more. It really is a highlight of the instrument, and far better than the neck and fingerboard on the Makala Dolphin. Far far better. We have fingerboard markers at the 5th, 7th and 10th spaces in inlaid plastic looking pearl. Sadly there are no markers on the side for the player. Past the plastic nut, we have a standard Martin style crown headstock shape and the Octopus logo applied in silk screen or decal in white. I like the dual logos too. The tuners are unbranded silver open gears, and I found one or two of them a little sticky with a bit of grind when turned. That said, they hold just fine. The tuner buttons are also delightful, with a kind of rubberised black coating that makes them feel great. The whole package is completed with a zippered thin gig bag, and strings that may look like Aquila, but are Octopus brand white synthetic gut (whatever that means). What I will say though, is the strings are quick to get in tune and stay there, and feel nice on the fingers with none of the roughness of Aquila brand. So overall I am rather impressed. There are one or two issues, but it feels great to play and that neck is incredible for the money. How does it sound though? 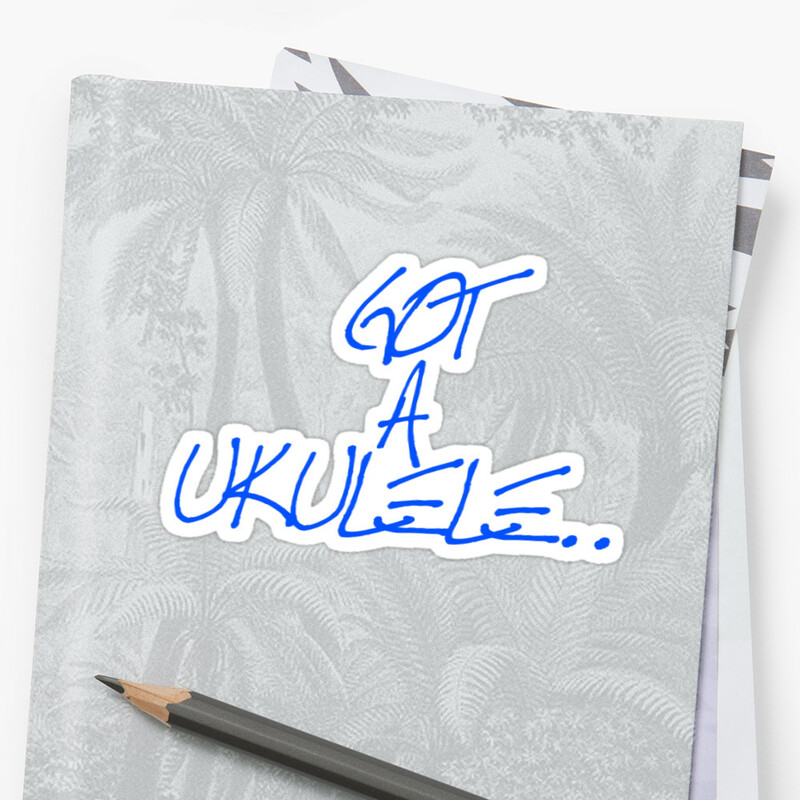 Well - it sounds like a boxy laminate uke, I didn't expect anything else. There is nothing complex about the tone, and it is a little one dimensional. But then so is the Dolphin. I actually think though this has a brighter and a more traditional uke sound than the Dolphin has. I often think that whilst the Dolphin has great volume, it can sound a little muddy. To my ears the Octopus matches the Dolphin for volume, but has a slightly sweeter, more percussive sound. It's really quite pleasant to both play and listen to for my ears. The setup needs adjusting at the saddle (hardly a big job) but otherwise the intonation is pretty damn accurate too. And I really don't know how they do it for the price (it's also quite a bit cheaper than a Dolphin). 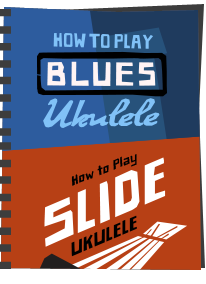 Sure, it's a cheap uke, and my readers know that I always try to recommend getting something more serious as a first uke, but I appreciate that many people need to stick at this level money wise. And in the contest of the Dolphin vs the Octopus..... well, the Octopus wins. Read the scores below and take a look at the video review at the end of this review. I haven't played the concert. But speaking to the guys who put these together, they have worked hard on quality elements. The original Octopus that was out in 2013 was actually a bit of a dog, and they rectified it. Would be surprised therefore if they didn't apply same controls to the concert you would have thought? Bernard - I think you bought one of the original Octopus ukes - afraid there are still a few knocking about in stores. The new ones definitely DONT use Aquila any more. Does that mean the ones in SUS aren't the new ones? It says they are the new ones but it also says they come with Aquilas. I'm confused. Not sure to be honest Martin. They 'should' be new ones. But I'd ask them. Maybe a octopus reverted to Aquilas since I wrote this? Probably nothing more than the strings stretching. It's normal. Just keep playing and tuning up. They will hold in time. Is the eBay Tiger model the same? No, it most certainly isn't! What´s the difference between the old and the new one? How can I distinguish them? Thanks. Looking for a concert uke and the octopus sounds interesting. Is there a model number I can check to make sure I get the new, improved version? Not sure I know the answer to that - sorry - Choose a good dealer and am sure they will be able to tell you - one thing though - the Octopus is not a concert ukulele! I'm going to buy one of these Octopus Uke's as a present for someone. Could you recommend a tuner for them please, and would I be best buying some Aquila Strigs for it or are the ones supplied as good? Many Thanks. 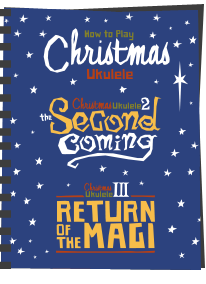 My daughter turned up with a ukulele at Christmas (an Ibanez soprano on later enquiry) which sounded great, but she is very musically talented, I don't expect to sound as good at any stage. I decided to have a try, I do play bass recorder, have had a go at guitar in the past but found it rather hard work. I was immediately drawn to the Luna great wave, I have always loved the picture, in concert size, but decided it was a bit too expensive for a starter. I found your site and you didn't like the Luna tattoo very much, so I started looking for something else. On the strength of this revue I decided on the Octopus concert AND found a very local shop stocking Octopus sopranos. I would like to commend Penwarden Music in Milnthorpe, Cumbria, who went to the trouble of finding me a concert and checking it over. It is the rather unappealing brown, but I am in my 60s and don't want to draw too much attention to myself and my lack of musical talent. I love it, it's well made, it plays as well as I need and I'm having great fun with it. Thank you. Just spoken to a very friendly chap from Octopus, the model numbers for the newer versions are UK200 or UK201, hope this helps. I'm new to the ukulele and I'm only a very few hours with the Octopus. I find that the tuning is starting to stabilise except for the B string but even that is improving. 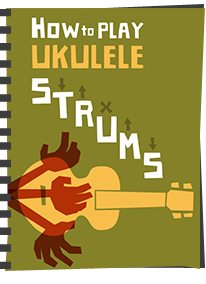 I'm pleased to learn on a cheap uke which I may outgrow - in which case I'll spend a £100 or so on a respectable street cred ukulele but it seems even then, by the reviews, I need to be careful to make sure I get one as good as this. No complaints! I've just purchased an Octopus Soprano. It looks and sounds a great little instrument just as the review says. The packaging says "comes ready to play straight out of the box" and I have to say that 2 strings were spot on whilst the other 2 only needed a very slight adjustment to be in tune. The tag attached to the head says "fitted with genuine Aquila strings" and carries the Aquila logo - so I guess this particular instrument does now come with Aquila strings, in case there was any doubt. I ordered one of these to keep in the car: My Octopus came strung with Nylguts (as declared by the Aquila tag attached to the tuners). I agree with you that the neck is very comfortable, the tone is pleasantly warm - with impressive sustain - and I love the bright sky blue colour of my one (although there is some very messy edging around the fretboard). Unfortunately, the intonation is markedly inaccurate, which I might have been tempted to mess around with if it wasn't also a lot quieter than I had hoped for (perhaps unrealistically? ), so I am sending it back to Amazon. Would you able to comment on volume comparison between the octopus and Makala Waterman, please? I recently bought one of these to keep in the car: It looked and felt good and sounded surprisingly warm and balanced (although the intonation was a bit out), but it was just too quiet for my liking and so I sent it back to Amazon. Maybe my expectations were too high? I acknowledge that these are impressive in as much as they're proper instruments at the same price as many cheap and nasty toy ukes, and mine even came with Aquila strings fitted! 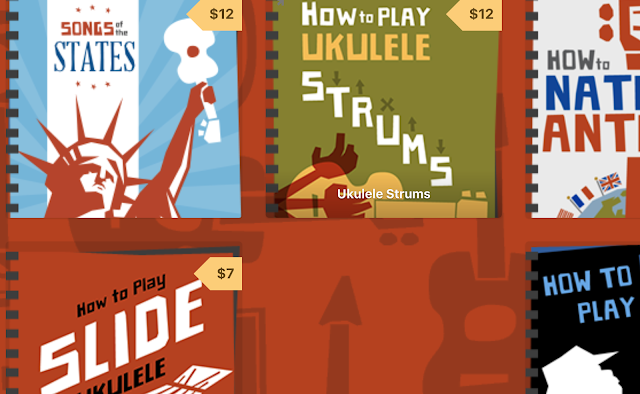 I wonder whether there's an objective way of comparing ukulele volume in reviews? 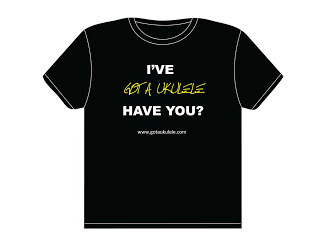 Maybe you could play, say, a Martin and a Makala dolphin alongside each new uke, in your videos?? I just bought a new Octopus with the new headstock shape and side by side with a Dolphin, I still prefer the Dolphin. As the Octopus sounds Tinny while the Dolphin has a more fuller sound... That's my take :) (They both have Aquila Strings, Too)!